During World War 2 Russia had operated a number of light tanks for the reconnaissance role and fire support. The concept was continued in the post WW2 years with a number of prototypes for a new single design to full-fill this role. 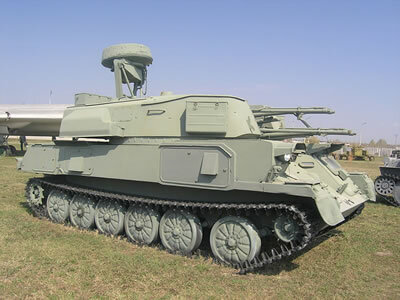 The Russian PT-76 Reconnaissance Tank prototype was built at Kirov Plant in 1950 and the tank was officially adopted in to service on the 6th of August 1951. Production started at the Stalingrad Tractor Factory (STZ) with production ending in 1967. Its believed that roughly 12000 were built. A reconnaissance tank has to be agile and fast. To offer greater protection, early post WW2 tanks had to have thick steel to protect against anti-tank projectiles, but the side effect is they loose their agility, so the PT-76’s steel thickness is only 14mm, which offers protection against just machine gun fire. This kept the vehicles weight down to just 14.6 tonne’s. The vehicle originally lacked any NBC protection, however this was added in later years as well as the ability to generate its own smoke screen. During the post WW2 years aka the Cold War, it was perceived that fighting would take place on the Northern Planes of Europe where the only real natural obstacles were the vast number of rivers. Main Battle Tanks had some limited amphibious capabilities, but for the most part they would have to wait for an Armoured Vehicle Launching Bridge to arrive in order to cross. 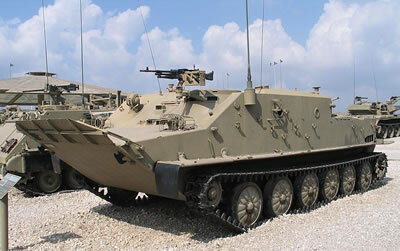 Reconnaissance tanks who worked forward of the main mechanised units could not afford to wait, so would need to have a greater amphibious capability to cross these rivers, something the PT-76 excelled at. The vehicle is propelled in the water by two rear hydro jets giving it a water speed of 10km/h+, which is over double other vehicles have when propelled in the water by their tracks. A front vein is erected for stability and internal bilge pumps are turned on. The engine is a 240hp model V-6B 6-cylinder water cooled diesel. It gives a top road speed of 44km/h and operational range of 370km, thou this can be increased with external fuel tanks to 480km’s. The main gun is a 76.2mm D-56T with a -5 to +30 degree elevation and 360 traverse. Its capable of firing HEAT, AP-T and HE-FRAG. Its also equipped with a coaxial 7.62mm MG. Some models were fitted with a 12.7mm MG for the AA role. The PT-76 has a typical tank layout: the steering compartment at the front, the combat compartment in the centre and the engine compartment at the back. 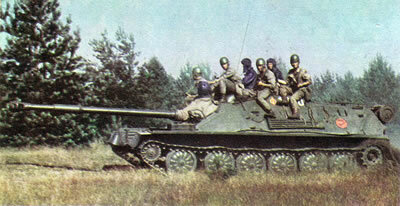 The tank has a three-man crew, with the commander also acting as the radio operator and gunner. PT-76 (Ob’yekt 740, 1951) – An original PT-76 armed with the D-56T 76.2 mm rifled tank gun (no bore evaluator, long multi-slotted muzzle brake, no fume extractor). It was produced between 1953 and 1957. PT-76 (Ob’yekt 740, 1957) – PT-76 armed with the D-56TM 76.2 mm rifled tank gun (double-baffle muzzle brake, bore evaluator, fume extractor). It has night vision driver device, a new R-113 radio instead of the old 10-RT-26E set (it was later replaced by the R-123) and TDA thermo smoke generating system. 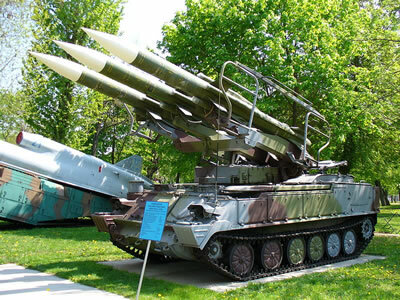 PT-76B (Ob’yekt 740B, 1959) – PT-76 armed with the D-56TS 76.2mm rifled tank gun (double-baffle muzzle brake, cartridge ejector, fume extractor and STP-2P ‘Zarya’ 2-axis stabilization system), the PAZ (protivo-atomnaya zashchita) NBC protection system, an automatic fire extinguishing system, improved TShK-2-66 sight, a filtration-ventilation system, improved observation devices, improved electric equipment, a new V-6B 6-cylinder 4-stroke in line water cooled diesel engine developing 263hp and additional internal fuel tanks for which the shape of the armour had to be slightly changed. It was produced between 1959 – 1967.